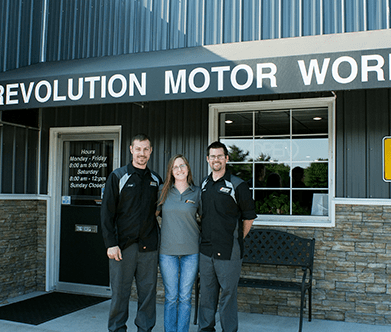 Revolution Motor Works is owned and operated by Jorge Gilligan and Jason Garrish. We are a local Finksburg family owned business. We are dealership trained Technicians with a combined thirty plus years experience. We completed many hours of technical training classes to improve our technical skills. 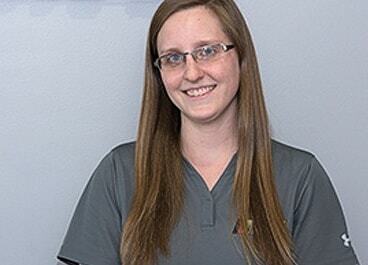 Our service manager Jerica Shuffler was a dealership assistant service manager for over 5 years. She completed a yearly certification program that developed her customer service skills. After many years of dreaming about opening our own shop we decided it was time. In October 2014 we formed our LLC and by March 2015 we opened the doors of Revolution Motor Works. We saw a need in the independent repair shop market. We wanted to open our repair shop with a new look and feel. We wanted to bring in “A new era in automotive service”. We want to provide exceptional customer service, precise repairs , and a relaxed no pressure atmosphere. We want to build relationships that last, by showing honesty and integrity. Looking for a repair shop that actually knows how to service your European vehicle? Have an import vehicle like a Lexus, Toyota, Honda, or another car that you want to keep running for a long time? If you live in Finksburg, Glyndon, Hampstead, Upperco, Westminster, Sykesville, Randallstown, Reisterstown or anywhere nearby, Revolution Motor Works is the best auto repair shop for you. Why is Revolution Motor Works regarded in the area as one of the best repair shops for both European vehicles and imports? We’ll come to you - We will come to your home, office, or anywhere in the local area, pick up your vehicle and return it to you afterward, so you never have to interrupt your busy day to get your car serviced! We’ll give you a free replacement car - Need to get around still? Revolution Motor Works has got you covered. We can set you up with a free loaner car for the time that your vehicle is in the shop! Please schedule in advance. We’ll take you where you need to go - Want to drop your vehicle off on your way to work? Many of our customers do this because we are located right off of Route 140. After you drop off your car, we will take you home, to work, or to Starbucks. Wherever you need to be, we will take you there and pick you up once your vehicle is ready to roll! We’ll stand behind our word - We always stand by our word and our work. We offer a fantastic warranty: 2 years/ unlimited miles! Our mechanics are all ASE certified - You wouldn’t let someone operate on you unless they had the proper education, training, and experience, right? Then don’t allow anyone to operate on your vehicle without the right qualifications, either! Our mechanics have all undergone extensive education, training and have loads of experience. They are ASE certified and have proven that they are up to the job at hand. We’re family owned and operated - Our owners Jorge and Jason are both family men who founded, own and operate Revolution Motor Works. They are part of the local community and understand the realities of life, needing a reliable vehicle, and living on a budget. We have a great waiting area - Our waiting area is sparkly clean and very comfortable. It even has a play area for the kids! We also offer free Starbucks coffee, water, snacks, Wi-Fi, and HDTV. We’re a Bosch Certified Auto repair shop - Only the very best repair shops in the world are Bosch certified! This certification lets you know that all of our parts and our mechanics are the very best in the industry and are super high quality. We’ll give you a free 32-point inspection - Coming in just to get an oil change or your tires rotated? No worries - we’ll still help you out! We believe in transparency, and that knowledge is power. We want to empower you by helping you understand the health of your vehicle so that you can always make informed decisions and stay safe! Still not sure if RMW is right for you? Give us a call and ask us any questions you have. Our friendly staff will be more than happy to assist you. Jorge has been a professional in the auto repair business for almost 20 years. He started fixing things as a kid. He would help his grandfather fix anything and everything. As he got older he started working on cars with his uncles. He worked at his uncle’s trailer repair shop as a teenager doing brake jobs, preventive maintenance, and fabricating. Later he decided he wanted to make a career out of fixing cars. He attended Lincoln Technical Institute and graduated at the top of his class. He worked at Firestone tire while in school to start his journey. After graduation he started his career at Russel BMW in Catonsville, MD. After a few years he transferred to Russel Mazda where he earned the title of Mazda Master Technician. He also received his Maryland State inspectors license. Due to the large volume of work he transferred to Russel Volkswagen where he became the shop Foreman and VW expert technician. 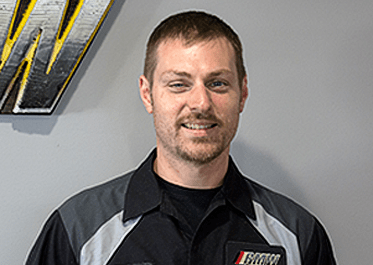 He worked in all aspects of the service department at the dealer then decided to open Revolution Motor Works with fellow coworker Jason. Since he can remember, Jason has always wanted to know “how everything works”. As he grew older he committed more and more time to figure out the ins and outs of auto repair. Eventually he applied has time and effort at universal technical institute in Orlando Florida. Once graduated he was accepted in the Volkswagen academy where he found his true calling. After graduating VW academy he went right to work at a local VW dealership soon there after reaching Volkswagen expert technician status. After 10 years he was confident he could offer much more value at a much better price, making both Jason and his customers happy. 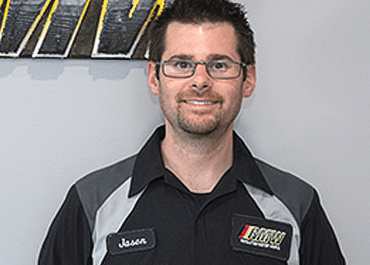 With his ASE certifications and his years of experience , Jason is committed to making an all-around better approach of customer service and auto repair to the industry. Say hello to Jerica! She is the first person you will have the pleasure of meeting here at RMW. She is a locally home grown girl right here in the Westminster/Finksburg area. With her always positive attitude and contagious smile she is a core member of our team, and that’s not all! She has the knowledge and expertise to get you in and out in a timely matter with service you can trust. From her days wrenching on sprint cars with her father to advising customers with repairs at dealerships, she has always been a step about the rest. Come on in and share a smile with Jerica and a team you can trust.